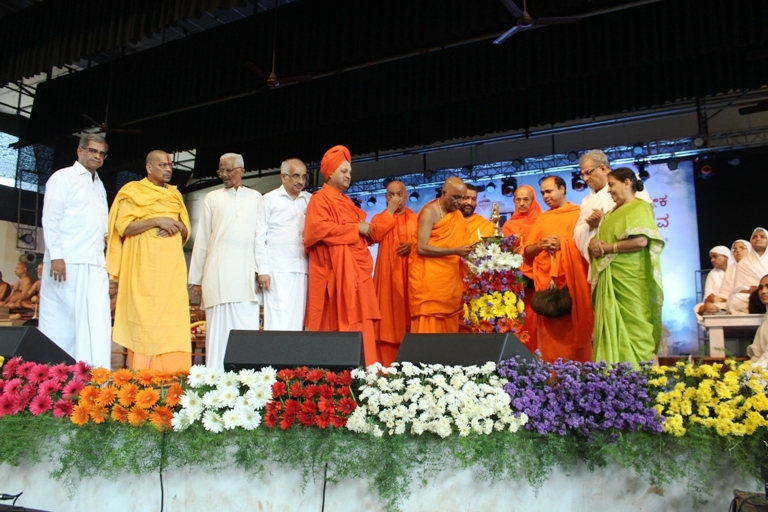 “It isn’t possible for each one to become Bahubali, but it is possible for all of us to incorporate his ideals in our everyday lives,” stated Pejavara Shree Vishwesha Teertha Swamiji, as he was inaugurating the social welfare activities in occassion of Maha Mastakabhisheka at Dharmasthala. He emphasised the symbolism depicted in the statue of Bahubali and the Maha Mastakabhisheka ceremony, which convey the idea of goodwill through selflessness. 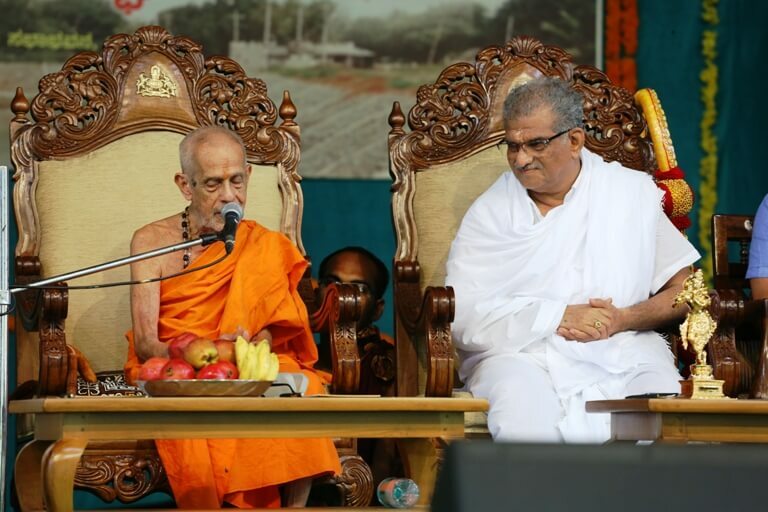 Pejavara Shree, in the presence of Dr. D Veerendra Heggade, stated that Dharmasthala conducting social welfare activities is the very ethos of the temple town, and shall always remain so. Social initiatives in adherence to the ceremony such as replenishment of ponds and lakes, distribution of medical care and environmental initiatives were inaugurated by and wished the best by Pejavara Shree. All the activities inaugurated by him will be brought to action within the span of Maha Mastakabhisheka. Lok Sabha Minister D V Sadananda Gowda was also present at the occassion. Error: Error validating access token: Session has expired on Monday, 25-Mar-19 00:53:02 PDT. The current time is Friday, 19-Apr-19 18:11:17 PDT.